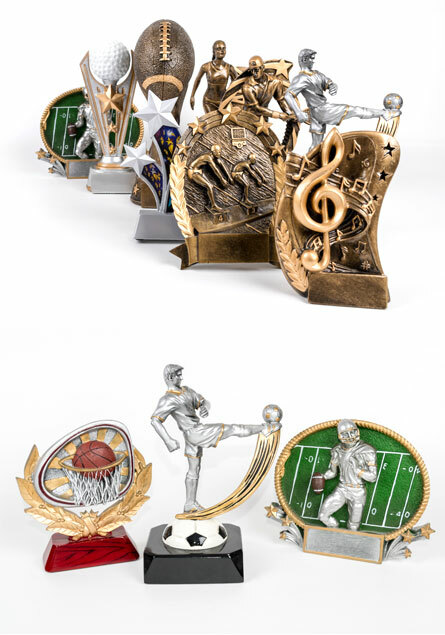 Recognize athletic excellence with these 3D high definition awards. Customizable engraving will personalize your awards. The look of bronze and pewter at great prices. An affordable way to give elegant awards. Visit discount-trophy.com for more resin trophy ideas.